The Aristarchus Plateau, home to Vallis Schroteri, Herodotus and Aristarchus craters. 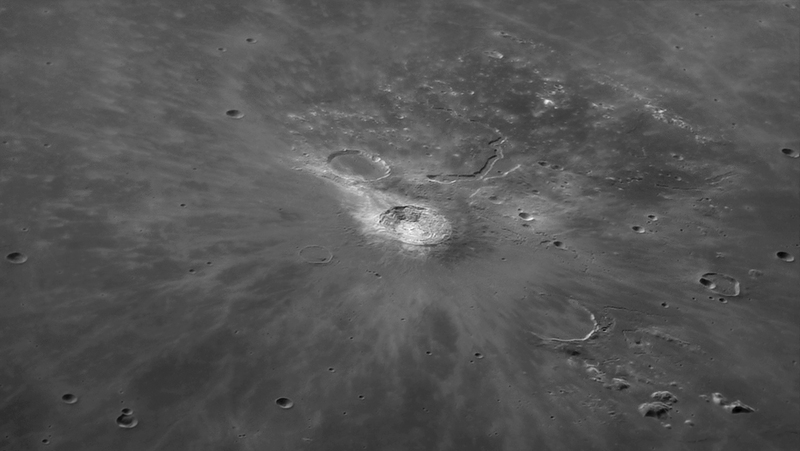 Aristarchus is among the moon's newest and brightest craters. This image was featured as NASA's Astronomy Picture of the Day on Nov. 30, 2007. An image from 2005 captured this region at a lower sun angle. 4 October 2007/ captured with the A-P 10" mak/cassegrain at f30 and DMK 41AF02 firewire webcam.